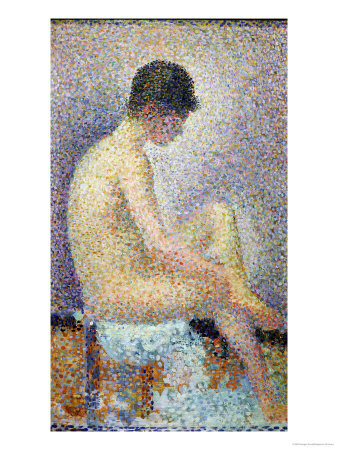 Georges Seurat is our favourite French painter and was very significant with in European art history thanks to his contributions towards the Pointilism art movement, of which he was integral. 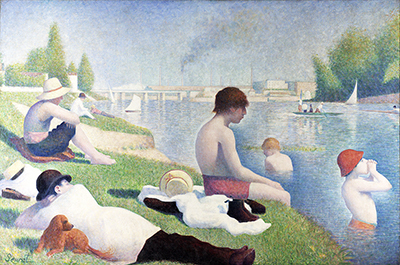 This website gives a full outline of the career of artist Georges Seurat and looks deeply into the most famous paintings from a list of impresssive works. 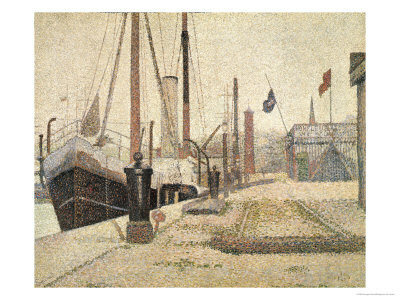 Pointilism involves small independent dots of paint which together form an image to the eye which is alternative artistic technique which required exceptional planning and precision which makes it a respected method. 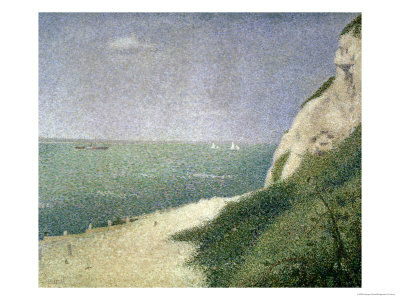 Seurat and Pointilism are joined together in a similar way to how Alphonse Mucha is closely tied to Art Nouveau, as it was again his work which inspired and drove that art movement, before many others followed on afterwards to turn the style into what could be termed and actual art movement. 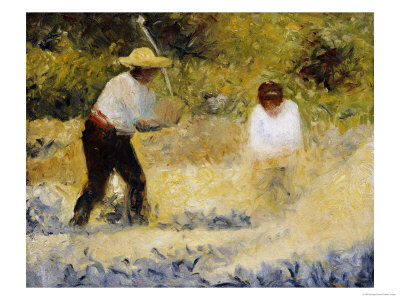 Georges Seurat paintings are listed in detail across this website and each photo is accompanied by a description of each to help you to understand how it fits into the artist's overall career. 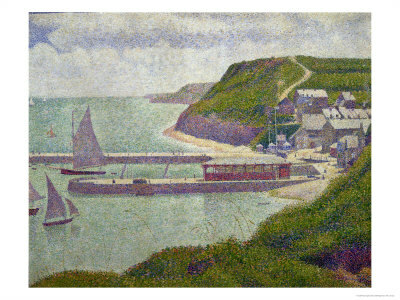 Whilst best known for Pointilism, you will see from the variety of paintings included here that Seurat did cover other techniques with in his career. French art has been prominent in many different art movements and this is just one example of how this country has applied it's creative innovation towards pushing European art onwards, and similar examples can be found in several other art movements. The French have been most influential since around the 17th century onwards, when previously it was Italian artists who were the most innovative. 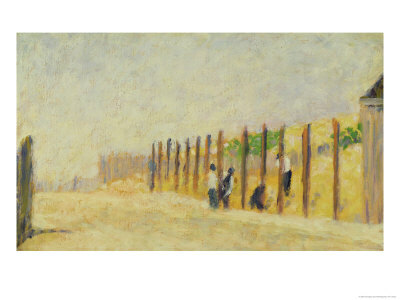 You will notice that GeorgesSeurat.net includes many links to the Art.com prints gallery. 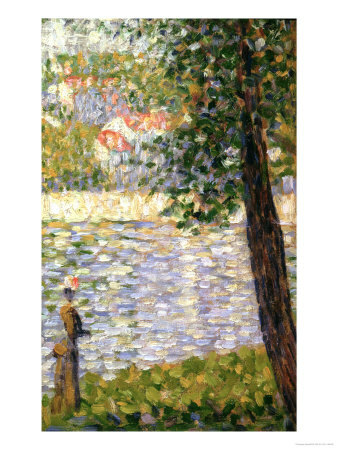 We make a small amount of money from any think that you might choose to buy from this website and all photos link directly to where you can buy each individual Seurat painting, as a print, poster or stretched canvas. We have used Art.com regularly ourselves, so are more than happy to recommend their services to you. There is a real international interest in this French artist and for that reason we hope to really expand this website overtime into as many as 20 languages, starting with key European languages before moving onto Asian and others after that. 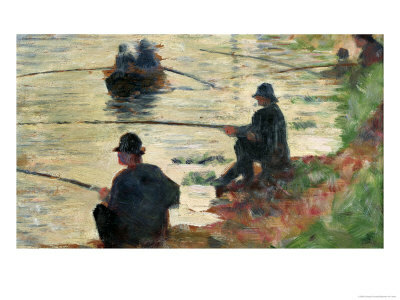 There will also be a more interactive nature to this site over time with blog like comments for Georges Seurat fans who want to chat with each other. 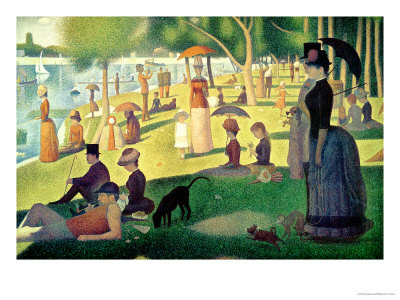 Sunday on La Grande Jatte . 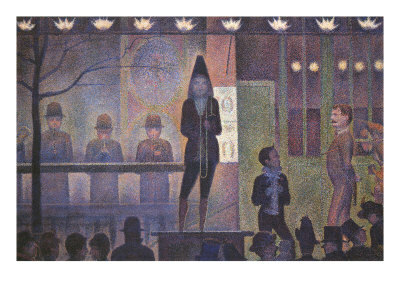 The modern media has a habit for concentrating on just a handful of artists and paintings, and Georges Seurat has been fortunate enough to be one of those selected, with regular recreations of scenes from his paintings being found in the press all over the world. Several of his paintings are instantly recognisable by large parts of the population and this has made them suitable choices for those looking to bring old classic works to life in new and interesting ways. 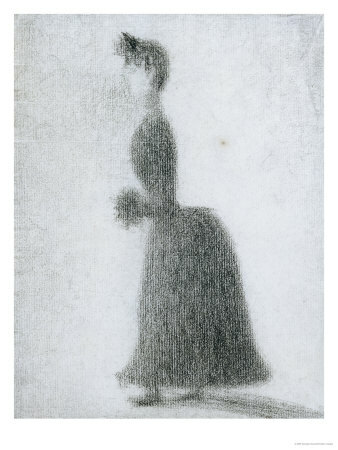 Georges Seurat would always place a high level of importance on his preparation for some of the more major paintings in his career and would go to great lengths to plan every last detail in his mind before starting on the final piece. There would often be a whole series of pencil sketches to plan certain areas of a painting, where perhaps the artist still had some uncertainties in his own mind which needed ironing out. 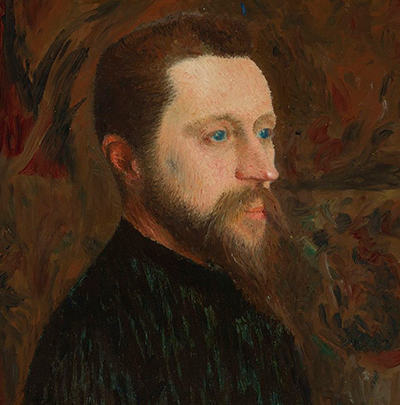 History has a way of separating the good artists from the great and Georges Seurat has certainly managed to achieve a status in the latter thanks to a procession of media interest in various elements of his career as well as his own unique techniques which were always likely to set him apart from the norm. 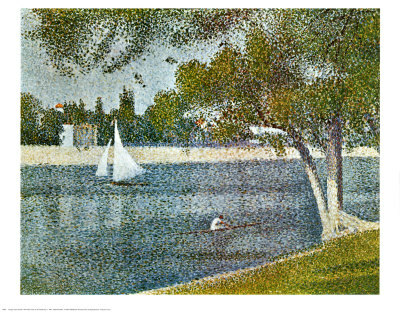 The popularity of Georges Seurat has continued up to the present day and you will regularly see examples of his work all over the place. Having visited this website and browsed through our gallery, you will now be able to recognise his paintings and drawings next time you come across them. 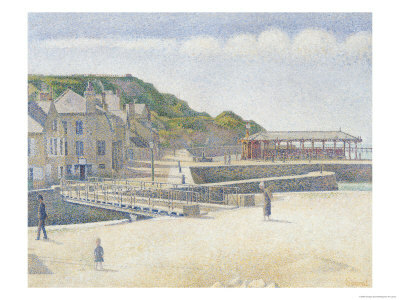 Pointilism is a very precise artistic technique which requires careful planning prior to starting a painting as changes are very hard to make later on. 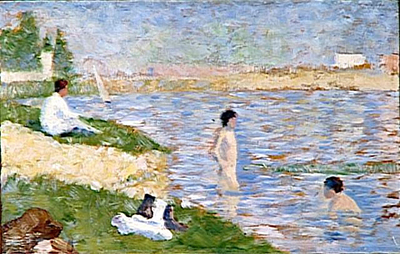 Despite the detail required, Seurat still insisted on producing some of his works on huge canvases which would have taken months to complete at the level that this artist always desired. 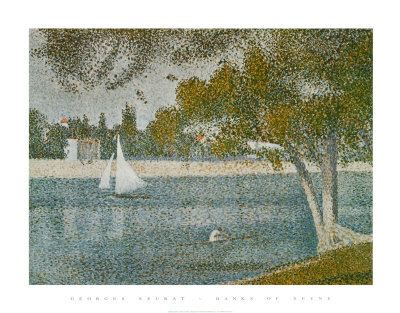 It would be extremely expensive to order hand-painted reproductions of most Seurat paintings because of the highly detailed style involved with Pointilism but there are alternatively some excellent art prints and posters available instead for Seurat fans are these are much more competitively priced. 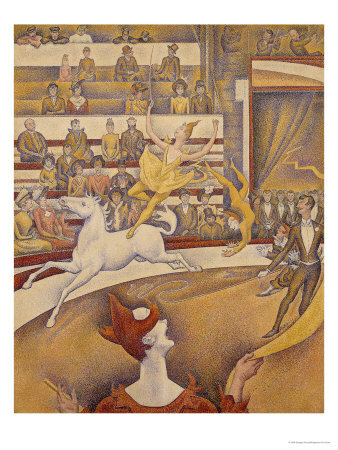 You will find that all pictures in this website will link through to where you can buy Georges Seurat art prints from Art.com, who pay us a small fee for any purchases that you then make. 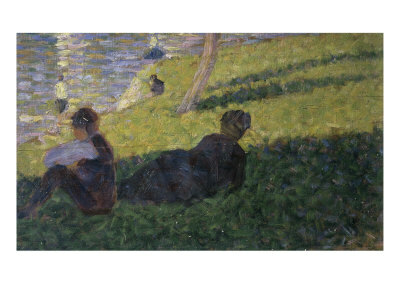 The favourite genre of Seurat was unquestionably landscape painting which really suited his chosen style and enabled him to experiment with shades of blues, greens and lighter colours that represented light. 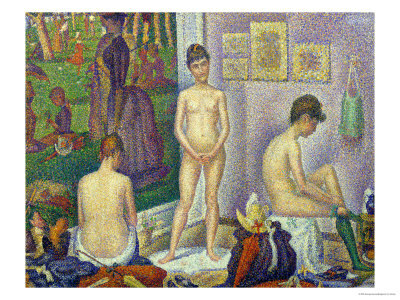 Seurat is actually regarded as one of the true masters of colour and the precision of his pointilist style would have forced him to think carefully about his use of colour when constructing objects from these series of dots. 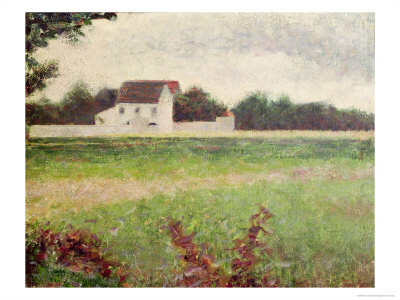 French Landscape above is a beautiful painting worth checking out - click on the links to find out where you can even buy your very own copy to hang on your own wall. 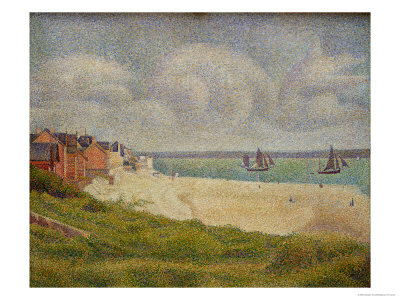 Seurat is currently one of the most popular reproduction artists and there is a fine selection from his career to choose from. 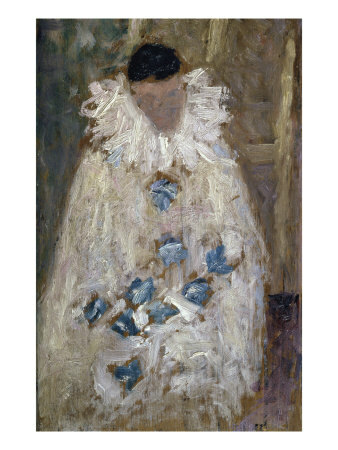 The French countryside made a great source of inspiration for this artist as it holds a natural brightness in many regions which is ideal for artists from the past few centuries as colour has come to become a more and more significant element with in art. As well as this, the colours themselves have also become brighter and bolder as newer art movements have appeared with a contemporary feel where emotion and abstraction are much more common. There was a long list of works from the artist's career overall, and we include a list of the best below. 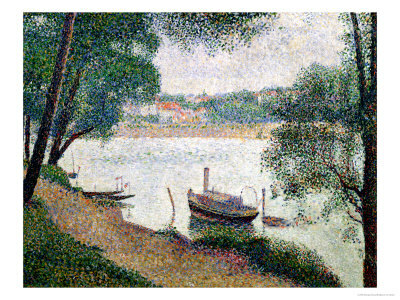 Disclaimer: Georgesseurat.net is a fan website dedicated to the paintings and art prints produced by famous French Pointilism painter Georges Seurat, and is in no way an official website for painter Georges Seurat, nor does it claim to be. 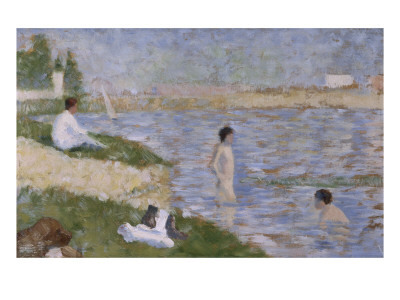 The Estate of Georges Seurat and their presence hold all necessary copyrights and licences for all of his paintings and other works. 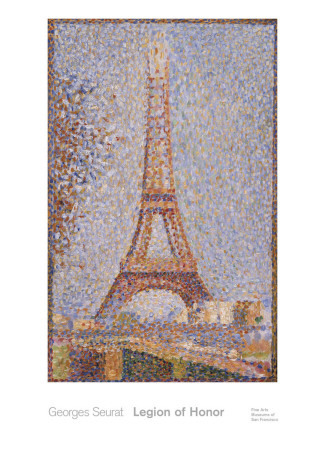 All prints, paintings and photos included in Georgesseurat.net are provided as an affiliate to Art.com who hold necessary permissions. 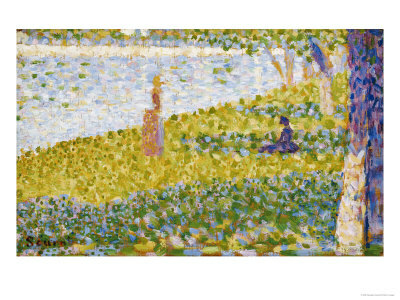 We may receive a small commission from Art.com as a result of any Georges Seurat paintings that you might buy from them.